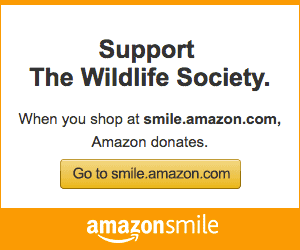 Welcome to The Wildlife Society’s online bookstore. In conjunction with our partner the Johns Hopkins University Press, we publish books on popular topics in wildlife conservation and management. TWS members receive a 30% discount on these titles. Use the code HTWS at checkout. Clicking any of the links below will take you to the purchase page at the Johns Hopkins University Press website. Available books usually ship within two to three business days. Since its original publication in 1960, “The Wildlife Techniques Manual” has remained the cornerstone text for the professional wildlife biologist. Now fully revised and updated, this seventh edition promises to be the most comprehensive resource on wildlife biology, conservation and management for years to come. Preview the Table of Contents and Forward. This book brings together wildlife leaders from practical, policy, and academic backgrounds to tell the story of state wildlife agencies, chronicling their efforts to restore and protect our nation’s natural resources. Its theme closely reflects the core principle of the profession — that the public, not any individual, owns wildlife, and it explains how this tenet became law, laying the groundwork for the history of state-level wildlife management that follows. The authors cover key issues, including the limits of private land ownership, the funding of wildlife regulation, the nuances of human−wildlife conflict, the role of law enforcement, disease control efforts, and the challenges involved in balancing the perspectives of hunters, nonhunters, and animal rights advocates. Detailed essays also discuss state management techniques for a wide range of wildlife, including big game and migratory birds. This comprehensive book gives a nationwide account of state management efforts. It will aid professors training the next generation of wildlife professionals, students hoping to enter the profession, and anyone working with wildlife to develop a more sophisticated understanding of what it means to be a state wildlife biologist. Preview the Table of Contents and Preface. Becoming a Wildlife Professional is the first comprehensive book to describe the entry-level jobs available for the next generation of wildlife biologists and conservationists. It includes detailed chapters on how students should prepare for a vocation in the wildlife profession while offering pragmatic advice about applying for and obtaining a job. Over 100 diverse career options that are available to aspiring wildlifers are described, including work in biological field research, forestry, rehabilitation, ranching, photography and refuge management. Chapters also detail each position’s educational and technical requirements, challenges, salaries, and opportunities for advancement along with useful advice from a range of seasoned experts who actually hold these jobs and have used these techniques to secure employment. The book is an essential how-to manual for all wildlife science students interested in making themselves marketable for employers across a wide spectrum of wildlife jobs. This is the first book to focus on reducing conflict between roads and small animals. Highlighting habitat connections and the challenges and solutions from both transportation and ecological perspectives, the authors cover various themes including animal behavior related to roads and design approaches to mitigate the negative effects of roads on wildlife. Wildlife Habitat Conservation presents an up-to-date review of the habitat concept, provides a scientifically rigorous definition, and emphasizes how we must focus on those critical factors contained within what we call habitat. The result is a habitat concept that promises long-term persistence of animal populations. Ideal for undergraduate and graduate natural resource and conservation courses, the book is organized perfectly for a one semester class. This authors of this second edition provide the essential information that students and practitioners need to be effective problem solvers. Edited by three leading experts in wildlife management, this textbook explores the interface of humans with wildlife and their sometimes complementary, often conflicting, interests. The book’s well-researched chapters address conservation, wildlife use (hunting and fishing), and the psychological and philosophical underpinnings of wildlife management. Preview the Table of Contents and Introduction. Edited by two of the leading figures in wildlife biology, this book gathers the most influential articles published in the field in one volume. The book contains forty-two papers that every wildlife student should read. Practical and conceptual topics consider every aspect of the wildlife profession, including ethics. Ideal for use as a textbook. This book presents a clear overview of the management and conservation of animals, their habitats and how people influence both. The relationship among these three components of wildlife management is explained in chapters written by leading experts in the field. The book is considered a definitive textbook for students of wildlife management and conservation. The pilot watches the instrument panel and prepares for touchdown — a routine landing until a burst of birds, a coyote, or a herd of deer crosses the runway! This unique book tackles the issue of what to do about encounters with wildlife in and around airports — from rural, small-craft airparks to major international hubs. TWS members receive 35% off on all Wiley books! Visit wiley.com to browse the book store and add your book selections to the cart. Once you’re ready to check out, enter the discount code in the “Promotion Code” field within your shopping cart, and click the “Apply Discount” button.